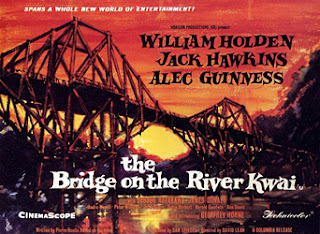 Weird WWII: "The Bridge On The River Kwai"
A proud British officer in a Jap POW camp is attempting to show up his captors by building a superior bridge over the river Kwai. Will he come around before it is to late or will he inadvertently aid those who he hates most? This is a pretty good flick but it isn't really an action flick. Check out the trailer and see what ya think.